I've always been kinda obsessed with hair; together with a big dose of effort and patience, it took me ages to reach my current length, even though my goal is to make it still healthier, longer and thicker, what probably all the women wish for their own hair. 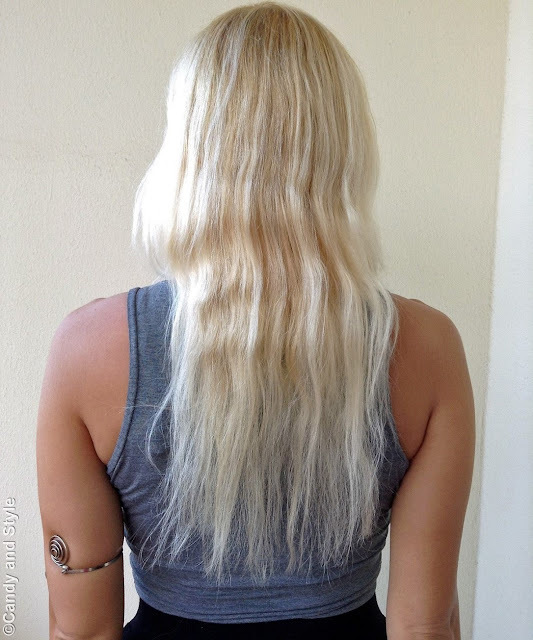 That's why when Irresistible Me contacted me to review one of their products, I was totally excited, I mean I was always curious to try clip-in hair extensions. First of all, let me say few words about the brand. Irresistible Me is a growing brand of 100% natural Remy clip-in hair extensions, hair accessories and hair tools, based in New York; it assures high quality products at affordable prices and the best shopping experience, putting clients first. I chatted a bit with Madison, which is in charged of Marketing for the brand, and she has always been very nice, helpful and kind enough to reply to all my questions and doubts. I got a great impression only for that. After having watched this informative video Madison suggested me, I picked Platinum Blonde, in 20 inches, from the Royal Remy line which is their premium series. The color perfectly matches my natural hair and well blends with it. The clip-in extensions are very easy to apply, to style, and are also very light to wear despite the length; is like they are my own hair. They are so silky, smooth and thick; when you wear them, you want to touch them all the time for their amazing silkiness. For further info check out the site or visit the facebook page. You look dashing with platinum hair and the extension looks so natural! Those extensions look really natural. mi piace molto come stai così, bellissima!! kiss!! Wow! I saw the photo on instagram the other day and I thought your hair looked so nice! It doesn't show it isn't your real hair. Un bellissimo risultato io ho fatto quelle con la cheratina ed ho i capelli distrutti. Can't wait to see more of your pics wearing these! Lilli non sono uan fan delle extensions, però devo dire che queste fanno proprio un bell'effetto, stai benissimo! noooooo spettacolari!!!! sono bellissime e ti stanno anche molto bene!!! sembra davvero semplice cara. ma grazie! Molto naturale il risultato... davvero bello!!!! They really blended well with your natural hair! Perfect match Lilli! Lilli sei bellissima con i capelli così! Ti stanno molto bene. Che gran resultato Lilli! Un bacio. il risultato è ottimo, sembrano veri! ma sai che il risultato lo trovo davvero perfetto??? Makes your hair richer, still natural, like it! I'm like you, my whole life I want thick and long hair. But my hair is to thin. This is the reason for my shirt haircut. Your hair looks always nice, but with the clips they looks a little bit better. More voluminous. I'm happy for you, your dream comes true. Ma che belle Lilli! Sai che staresti proprio bene con i capelli così lunghi? Una sirenetta! 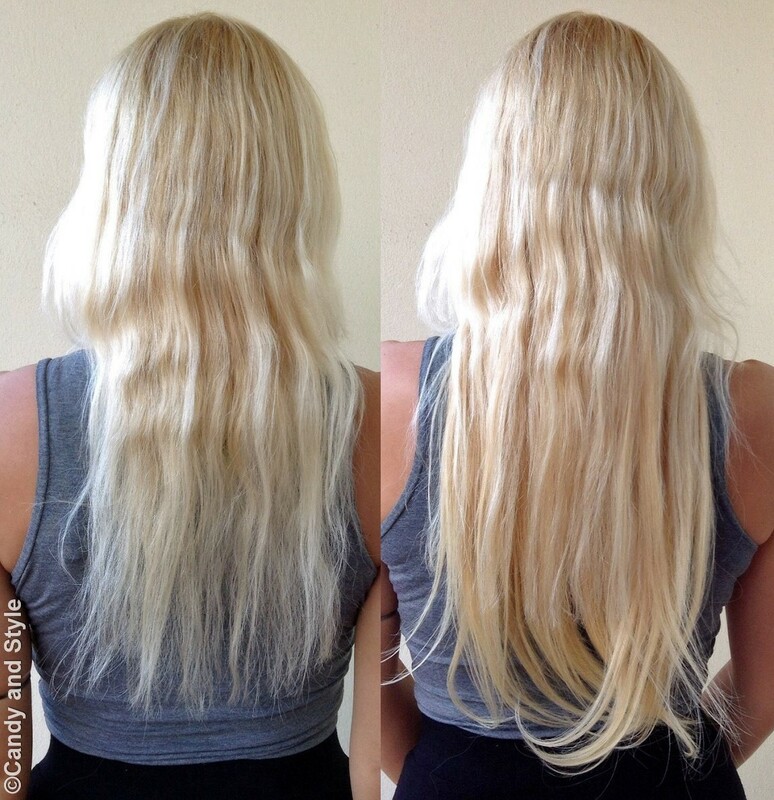 If you hadn't mentioned that you had extensions, I don't think I would've even know Lilli! This is a very good match with your natural hair and it's a nice and easy way for you to boost your length. Now you have mermaid hair :) Have a great week babe! Wow.. anche io li vorrei.. pensa che per via delle doppie punte li ho dovuti accorciare ancora un po'. wow sembri una barbie con questi capelli! I've seen a few of Irresistible Me hair extension reviews and I can't believe how amazing it looks, so natural and I would be able to tell it was extension at all. You look gorgeous, Lilli, long hair suits you so well! Your hair extension looks great. There is really a difference. With hair extension it looks fuller with more body. Those are some awesome clip-on extensions. They blend so well with your hair and look so natural. "Irresistible me" is a great brand. Love the longer hair length Lilli!!!!! Wow Lilli, love your hairstyle!! You look so pretty!! Nice extensions :) I like them! These extensions looks so perfect on your hair, Lilli. I love how you get them done. Mia cara Lilli, tu hai già un viso splendido e sembri la fata delle favole talmente sei dolce, quindi i capelli sono un qualcosa in più. Queste extensions sembrano molto naturali e per questo mi piacciono molto anche se io non ho mai avuto il coraggio di provarli. Però mi piaci con il capello lungo. These look like such great quality and I've worn clip in extensions for years, because my hair grows so slow too, but your natural hair is actually pretty long! It takes a while and some practice to get used to, but you'll get faster and faster. Also, 1 trick is to curl loose waves in your extensions with a curling iron because sometimes it's so hard to make straight extensions match perfectly with the texture of my real hair, but curls work. :) So pretty and can't wait to see how you wear them with different outfits!